Aim: This study aimed to evaluate the efficacy of two chitosan gingival retraction cords with different cord thickness and to compare the effectiveness of chitosan cords against aluminum chloride gingival retraction and nonimpregnated retraction cord on different parameters. Materials and Methods: Fifty-two participants were selected and a total of 60 teeth were included which were divided randomly in the group of four. Experimental gingival retraction cords were colored yellow and black (braided, chitosan) and compared with aluminum chloride retraction cord and control nonimpregnated cord. Size for yellow chitosan cord and aluminum chloride was 00, and for black chitosan cord and control was 000. A total of four retraction cords were available for evaluation. Cords were inserted in gingival crevice with cord packer and left for 10 min. Results: There was no significant difference between the two experimental cords, but a significant difference with aluminum chloride cord showing better results with only two of the parameters, that is, the ease of packing the cord and fraying of cords. With nonimpregnated cord, there was a significant difference in hemostasis, sulcus widening, dry sulcus, and amount of bleeding at removal where all the other three cords were better than nonimpregnated cord. Conclusion: There was no statistically significant difference with respect to both the chitosan gingival retraction cords in all the criteria and with aluminum chloride cord except for fraying of cord. Both the experimental cords were superior to that of nonimpregnated cord with respect to all the criteria except for ease of packing the cord. Aim: This in vitro study was conducted to evaluate the retention of zirconia and cast metal copings luted to implant abutments using different luting agents. 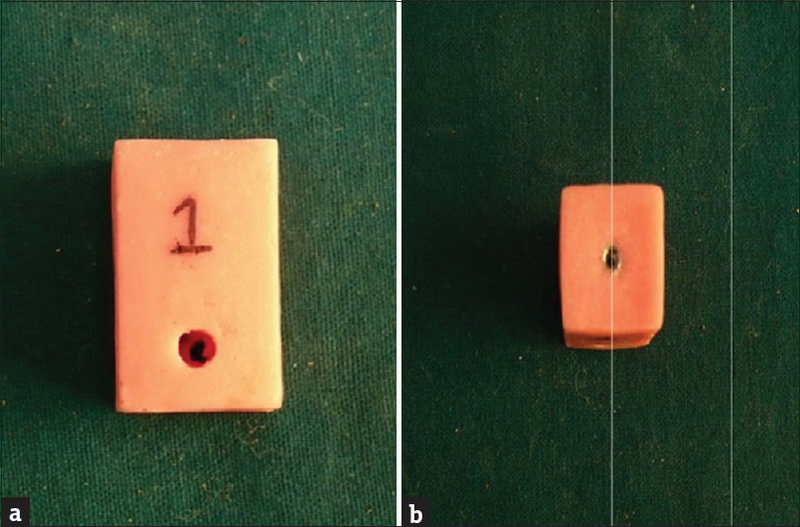 Subjects and Methods: Implant analogs were embedded in acrylic resin blocks, and titanium abutments were torqued at 35 N/cm onto the implant analogs. The samples were divided into two groups. Both Group A and B samples were then randomly divided into four groups each comprising specimens – Group 1, Group 2, Group 3, and Group 4. Copings were then cemented with resin modifies glass ionomer cement (GIC), GIC, zinc phosphate cement, and noneugenol zinc oxide cement, respectively. The cemented copings were subjected to tensile dislodgment forces using a crosshead speed of 5 mm/min. Results for the retention of the copings were statistically analyzed using factorial analysis of variance test. Results: Between the two copings, higher mean retention is recorded in zirconia compared to metal, and the difference between them is found to be statistically significant (P < 0.001). Among the four types of cements, higher mean retention was recorded with resin-modified GIC followed by zinc phosphate and GICs. The least retention strength was recorded with noneugenol zinc oxide cement. Conclusion: Definitive cements are recommended for luting single-unit implant-supported metal restorations. 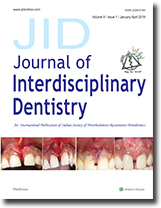 The provisional cement was found to be least retentive and may not be suitable for luting single-unit implant-supported restorations, whether for a zirconia or for a cast metal restoration. Background: Oral health is always an inseparable part of general health and awareness plays a vital role in determining the oral health of individual. The estimation of treatment need is also an important requirement in oral health care planning. Subjects and Methods: A cross-sectional survey was carried out on 1312 participants aged 18 years and above. Sixteen Gram panchayats were selected by simple random sampling a house-to-house survey was conducted to determine the awareness toward replacement of teeth among the rural population of Mangalore Taluk, Karnataka State, India. The survey pro forma was designed to collect information regarding the demographic profile, educational status, occupation, teeth missing, whether replaced with artificial substitute, and reason for not replacing the missing teeth. Data collected were analyzed using Chi-squared test. P < 0.05 was considered as statistically significant. Results: Majority of the subjects gave the reason for nonreplacement as expensive. Among males, majority of the subjects gave the reason for nonreplacement as “No time to visit the dentist.” Among all the age groups, gender and education multi-unit prosthesis was needed predominantly in the upper and lower arches. Conclusion: The general public should also be made aware of the free dental treatment facilities available in the health-care centers and dental institutions and hospitals. Dental professionals should promote oral health care in rural areas by conducting health awareness programs on consequences of edentulous, importance of retaining, replacing, and maintenance of teeth. Objective: The purpose of this study is to evaluate the magnitude of forces released by nickel-titanium (NiTi) orthodontic wires used for leveling and alignment. Materials and Methods: Eleven groups of 0.014” NiTi orthodontic wires of six different brands were tested. 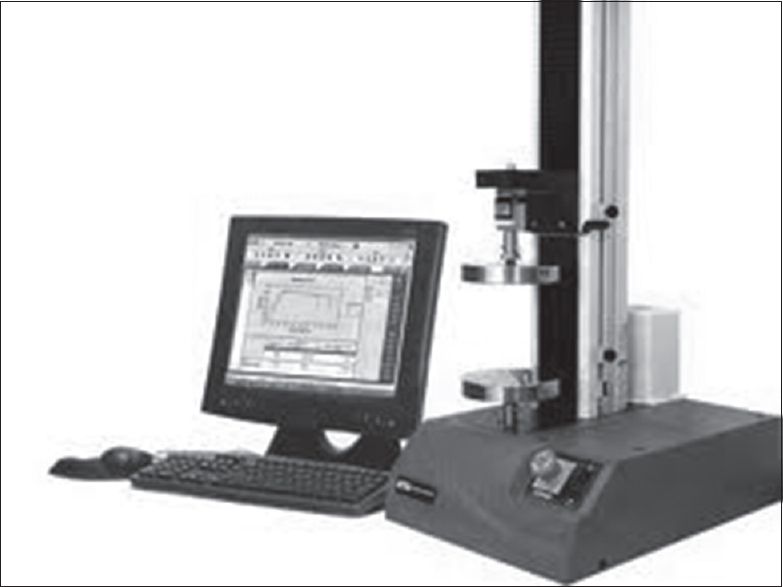 A 3342 Instron universal testing machine with a 10 N load cell was used and the ISO 15.841 was followed. Kolmogorov–Smirnov tests were used to verify normality and ANOVA followed by Tukey's tests were used for intergroup comparisons. Results: Abzil conventional, GAC conventional, Morelli heat-activated (HA), Ormco CuNiTi, and Orthometric conventional released load within the optimum range of 50–100 cN. HA wires released lower forces compared to conventional wire of the same brand. Conclusions: Heat-activated Morelli and CuNiTi Ormco presented homogeneous loads within an optimal range. Facial esthetics plays an important role in determining the psychology of patients. The loss of oral structures primarily affects the appearance in the lower half of the face. There are an increased rate of resorption of the alveolar ridges and a decrease in the muscle tonicity, both of which leads to sinking of cheeks. Rehabilitating a completely edentulous patient not only dentally but also facially will bring about an esthetic change. This leads to an increase in the patient's self-confidence and their social interactions. This clinical report introduces a simple noninvasive cost-effective technique to improve the dental and facial appearance using a detachable cheek plumper which is attached to the denture by neodymium close-field magnets. An aberrant maxillary labial frenum can lead to diastema and gingival recession creating functional and esthetic problems. Archer's classical frenectomy technique is an extensive procedure and has led to scarring and loss of interdental papilla. 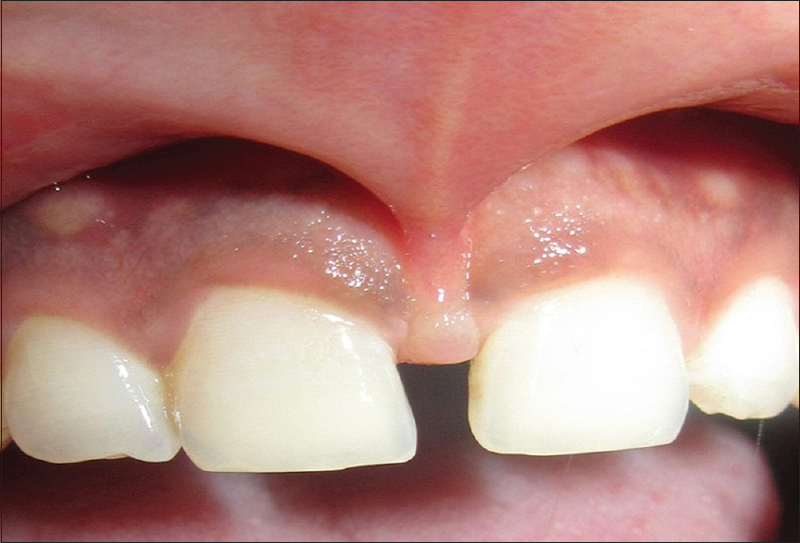 Conservative approaches such as Edward's frenectomy, frenum relocation by Z-plasty, and free gingival graft showed limitations in terms of esthetics. This case report describes a novel technique of bilateral pedicle flap for frenectomy which gives good esthetic results, color match, gain in attached gingiva, and no unaesthetic scar formation as healing takes place by primary intention. Ellis-van Creveld (EVC) syndrome or chondroectodermal dysplasia is a rare autosomal recessive disease, with an incidence of 1:244,000 for the general population. The exact prevalence of this syndrome is unknown but believed to be a genetic chromosomal disorder with a higher incidence in women. EVC syndrome consists of a tetrad of principal features: chondroectodermal dysplasia, polydactyly, congenital heart defects, and hypoplastic nails and teeth. In this syndrome, many other organs can be compromised with multiple oral manifestations of hard and soft tissues, but dental literature on the subject is scarce. Hence, we report a case of a patient, visiting Maratha Mandal's NGH Institute of Dental Sciences and Research Centre, Belgaum, seeking dental treatment presenting the typical features of EVC syndrome. 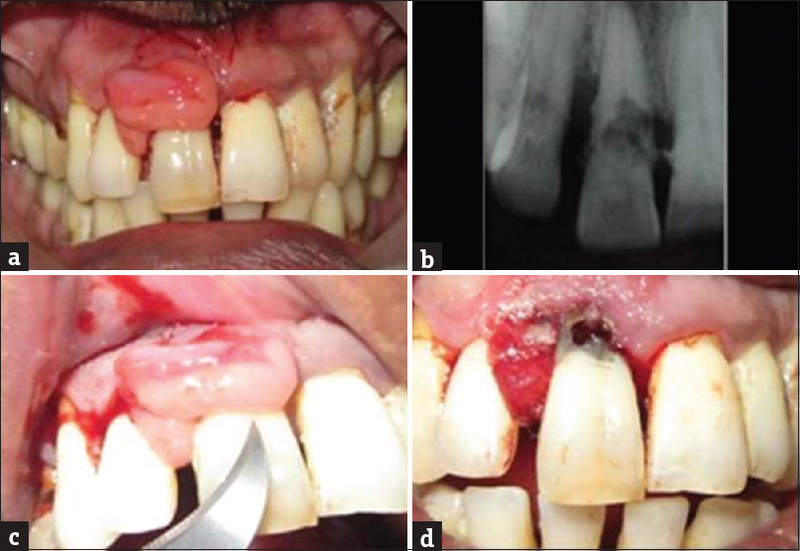 This is a rare case in which external root resorption was associated with localized gingival enlargement (pyogenic granuloma) in the upper right central incisor in a 49-year-old male clinically presenting with recession and mobility in other areas. The enlargement was pedunculated measuring 1.5 cm × 2 cm reddish pink in color, soft to fibrotic in consistency, and clinically diagnosed as pyogenic granuloma with chronic generalized periodontitis and endodontic lesion. Nonsurgical periodontal therapy was performed, enlargement was excised, and histopathological report was consistent with clinical report. Since it was associated with the cervical root resorption, the patient had to immediately undergo root canal treatment. The patient was observed for 4 months. The patient did not have any complaints, and the lesion was healed satisfactorily. For the esthetic purpose, gingival veneering was planned in the anterior region as there were root resorption and discoloration. After complete treatment, the gingiva is normal and healthy, and there was no sign of recurrence of the enlargement. The patient's periodontal condition is now routinely evaluated. 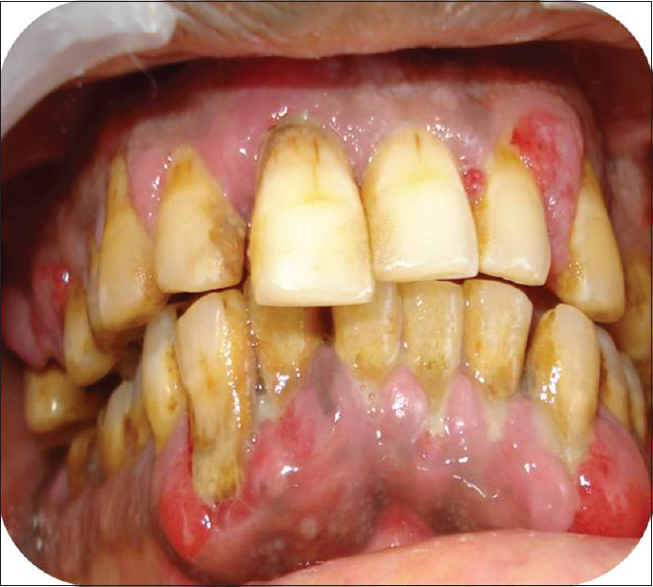 Drug-induced gingival overgrowth (DIGO) is one of the most common side effects of three important groups of drugs such as anticonvulsants, calcium channel blockers, and immunosuppressants. Calcium channel blockers are the important group of drugs in the management of cardiovascular diseases; however, they are associated with certain side effects such as DIGO in susceptible individuals. Nifedipine is the frequently involved drug; however, there are few cases of amlodipine-induced gingival enlargement as well. The case reported here is a 55-year-old medically compromised male patient on polypharmacy. 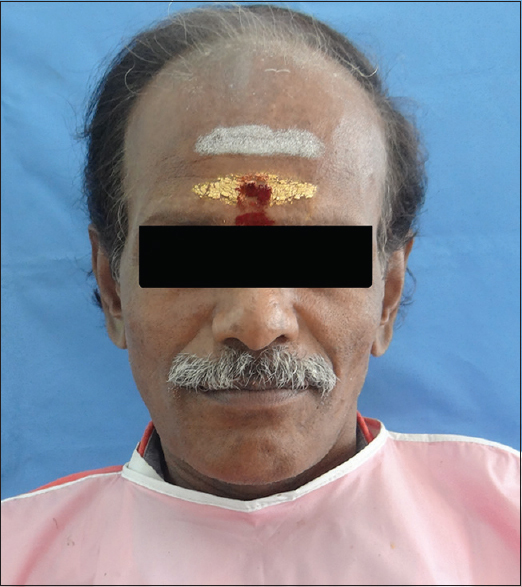 Based on the clinical, radiographic investigations and medical history, he was diagnosed as having drug-induced gingival enlargement with chronic generalized periodontitis. The case was managed by nonsurgical periodontal therapy alone in addition to interdisciplinary approach and strict supportive periodontal therapy, which resulted in complete resolution of the gingival enlargement with restoration of normal gingival health.